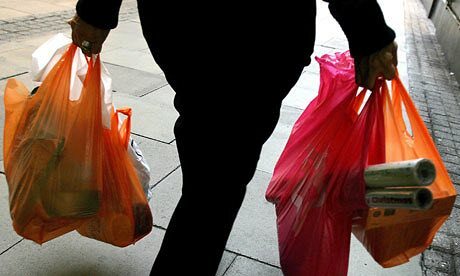 As part of its vision to “maintain a clean, healthy and wealthy environment” the Rwandan government took the decision to ban the use of non-biodegradable plastic bags in the country in 2008. As a country well-known for its 1994 genocide, Rwanda has now developed an international reputation for its cleanliness and in 2008 UN Habitat named Kigali as the cleanest city in Africa. Local NGOs have also been supported by the ban and were engaged to design alternative bags – mainly made from cotton or banana leafs – that are more environmentally friendly and sustainable. Despite the private sector displaying resistance and speaking out against the ban, fearing it would force them to push up their prices, the ban continues to stand and Rwanda continues to build towards a more sustainable future. However, the ban on plastic bags has spawned a thriving black market. The countries that neighbour Rwanda have not enforced similar bans and bags from Burundi, the Democratic Republic of Congo, Tanzania and Uganda can easily filter into Rwanda. Despite the government ramping out its searches at border crossings plastic bags can easily be hidden and often sneak through checks. Illegal smugglers can make up to $10, roughly the equivalent of one week’s wages, on just $30 worth of plastic bags. The authorities remain intent on cracking down on informal workers, who do not pay taxes, and their continued use of plastic bags. If caught, Aljazeera, says smugglers “are forced to destroy the bags, sometimes with their teeth. Worse, they are detained indefinitely and fined hundreds of dollars, which they have no means of paying.